www.PNWJeep.com • View topic - EJS Moab this year? Post subject: EJS Moab this year? Anyone going to be going there this year? 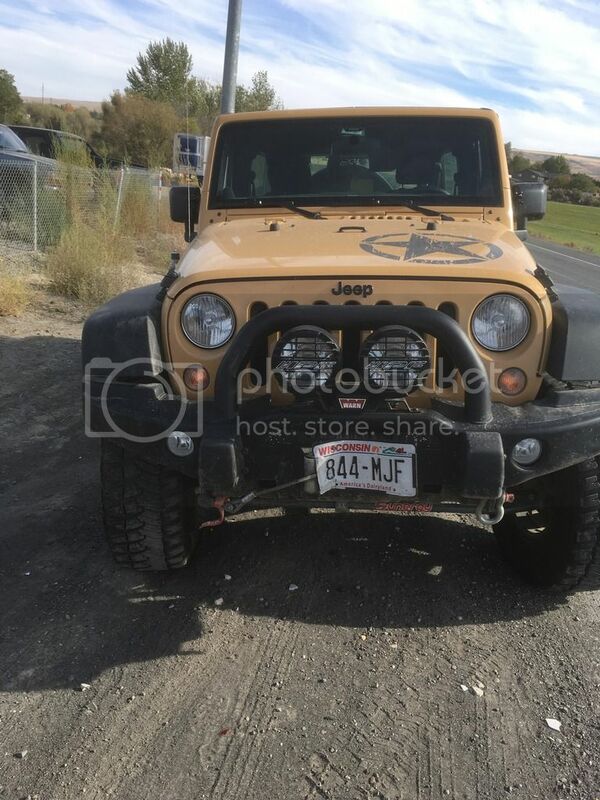 Post subject: Re: EJS Moab this year? CRAWL Magazine will be there all week and have its 8th Annual Readers Ride on Tuesday at Area BFE. I will be going with my two boys. We'll be staying at Slickrock Campground. Thats one of the things I'm trying to figure out now is where would be the best place to stay in moab. If you don't have that question answered already, you're probably S.O.L. Im not going to look for a hotel at $200 a night. I'm sure there is something or maybe another forum member can point me in the right direction. If you're looking for campgrounds, just get in the habit of calling all of them every 2-3 days and see if there is a cancellation. When we planned on going we booked our condos the week after EJS for the following year. Many do the same with all of the campgrounds and such. Best you can hope for now is someone who booked early and now can't go. If you're camping, definitely call every couple days. That's how Jeremy scored the KOA spot when we went last time. He got that spot the week before we left. I've stayed at CanyonLands Campground which is right in town. It kinda sucked being right next to a hotel, but at least we were right in town. I'm going and staying at the Canyonlands campground. If you plan on tent camping or camper camping without hook ups, then there are places that are first come first serve. I know there are campgrounds along the river that are that way..
Who has camped out at BFE before? Hey all, I haven't been around for a while, but decided to check in and see if anyone from PNWJ is going to Moab. I'm sure at least some of you remember me and my oldest boy/wheelin buddy Matthew. We're going to EJS this year and staying at the Riverside Inn. Believe it or not I made our reservations on my lunch hour on Tuesday this week, and we're getting a room with two queen beds for $90 a night. I just started calling place after place until I found one that was available and affordable. Lucked out I guess. I'm looking forward to seeing some of you guys - Avanteone, John90XJ, Paul, shotmobile, comanchekid and any of the rest of the old PNWJ gang who makes it down this year. I will be down there again this year. Who else is attending? Kevin and I are leaving the 30th, going to be there the week after EJS. Likely camping at BFE.